Harvest Basket Redwork - 3 Sizes! 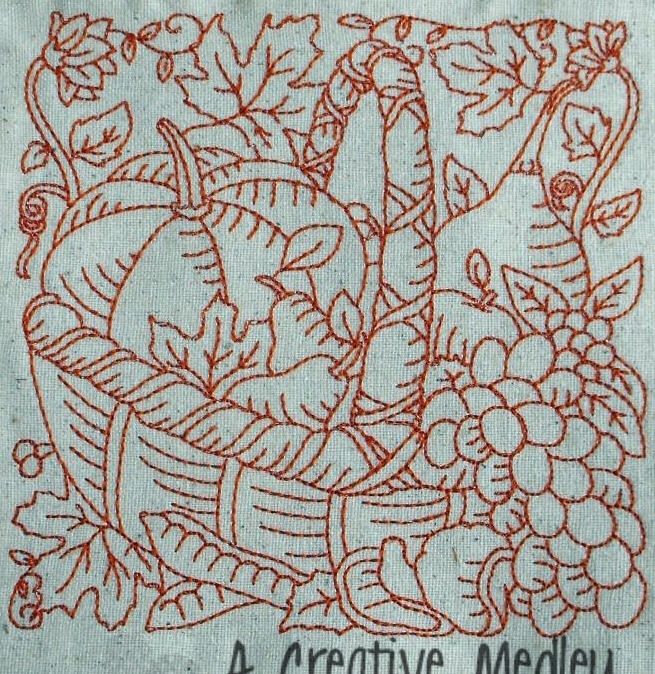 This beautiful Redwork design stitches up quickly and beautifully. Dress your Thanksgiving table linens or yourself with an elegant look! Includes 4x4, 5x7 and 6x10 sizes. Thanksgiving Squares Set, 10 Designs - 3 Sizes! Finish Size 3.90" x 3.90"
Finish Size 5.96" x 5.96"
This design is also available in a larger set. Just click on the "Thanksgiving Squares Set, 10 Designs - 3 Sizes!" link above in the "You might also like" section for more information.